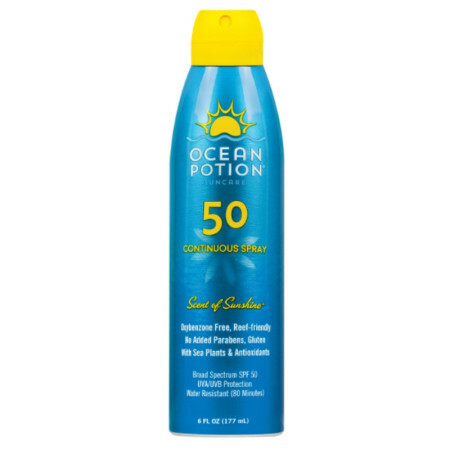 Heading The new wave in sun care. Uses Helps prevent sunburn. 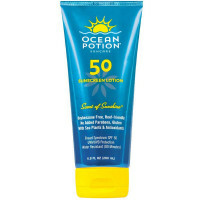 Higher SPF offers more sunburn protection. Ocean Potion Instant Dry SPF 50 Mist Anti-Aging Sunblock with Parsol 1789 (Avobenzone) provides the highest sunscreen protection without rubbing onto skin. 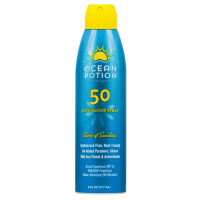 This non-greasy instant drying formula is ideal for all outdoor activities. 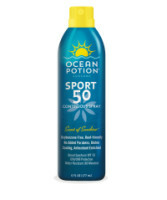 Provides Broad Spectrum UVA I, II and UVB protection for extreme sun exposure. 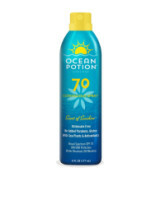 Solaplex enhances the stability of Parsol 1789 (Avobenzone) which makes Ocean Potion sunscreens more reliable and longer lasting. Warnings For External Use Only. For use on skin only. Avoid contact with fabric. When using this product: Keep out of eyes. If contacted, flush eyes with water to remove. Stop use and ask a doctor if: Rash or irritation develops and lasts. Keep out of reach of children. If swallowed, seek medical help, or contact Poison Control Center immediately. Flammable. Do not spray near heat, flame or while smoking. Avoid long term storage in temperatures above 104 degrees F (40 degrees C). Do not puncture or incinerate. Contents under pressure. Do not store in temperatures above 120 degrees F (49 degrees C).